Sharene has extensive knowledge and experience in award-winning prestigious sales and marketing of real estate over her successful 15 year career and continues to be one of the companyâ€™s high achievers. Brought up in family-owned hotels, Sharene quickly learnt people skills and client service at an early age. She has been the seller and marketer of a vast array of award-winning hotels, lodges, residences and apartment projects throughout New Zealand. Sharene was also recipient of â€œHome of the Year Awardâ€� and a â€œSpecial Design Awardâ€� when she built her own home of recent years. As an experienced business professional owning her first successful business at the age of 25, Sharene listens to her clientâ€™s needs by responding with options that offer clients highly desirable solutions. Sharene also values the importance of community support - every sale Sharene completes she donates lunches to hungry Kiwi children by gifting to https://www.eatmylunch.nz so you also help contribute when purchasing from our listings. Let Shareneâ€™s energy and passion showcase your luxury property with integrity and style. Wrapped with the exceptional Sothebyâ€™s International RealtyÂ® brand and international links we will ensure great success together. "Sharene Temple was referred to me and came highly recommended as ‘The Apartment Expert’! To say the least, I was definitely not disappointed! After meeting with Sharene, I was more than impressed with her charismatic and profess...ional approach to Real Estate. Her experience is extensive and her ability to deliver above and beyond is a real market advantage in a very competitive industry. Sharene’s honesty and integrity, along with her and ‘can do’ attitude, leaving no stone unturned, was truly a breath of fresh air. Her communication between all parties was very impressive at every step of the way, giving every detail her personal attention. I would not hesitate to recommend Sharene, and I would engage her again in a heartbeat!" ''From our first meeting to discuss and plan the sale, I found Sharene to be highly organised in all matters with an exceptional internet profile. Sharene's ability to market & sell my commercial properties and businesses across two ...separate towns as one package, was a huge undertaking. Sharene achieved the sale and exceeded my expectations. Her drive, determination and commitment were phenomenal. Her correspondence and regularity in keeping in touch and keeping me updated played an important part in how she continuously drove the sale forward to completion. Sharene demonstrated a strong understanding of the properties, business operations and current market. I found her communication to always be courteous and respectful. "I count myself extremely fortunate to have been introduced to Sharene Temple on the purchase of my first apartment in the Sebel Hotel. Sharene's professionalism and effervescent personality have given me the confidence to purchase furth...er apartments in the hotel and to also introduce her to my valued clients as an extremely valuable and professional source of information and property acquisition in the Auckland Region. The name Sotheby's is synonymous with professionalism and quality and all these virtues are exhibited by Sharene in all her dealings with myself and my clients, something that is of value to me." "Sharene was simply exceptional. I had completed a renovation on my property and asked her to list it at a precedent setting price. After a targeted sales campaign Sharene had the property sold within a few weeks at virtually full asking price. S...he set a new precedent for the building and I have a new friend as well." "Sharene Temple was the agent that helped me purchase my apartment at the Sebel Hotel. I found her services outstanding, with attention to detail, prompt responses to phone calls, text message and emails and a fantastic personality to help make t...he stressful process cheerful. She kept me informed throughout the process and also had a great follow up post sale going the “extra mile” to help me. Her knowledge of the apartment industry was excellent and Sharene was able to answer any of my questions relating to the sale and purchase as well as questions relating to the actual building itself. Having purchased a number of houses and buildings over the last 15 years, I found Sharene to be at the top of her game and would not hesitate to recommend her to anyone interested in purchasing an apartment." "Our apartment sales experience with Sharene Temple! Right from our initial phone call to ask if we could discuss possibly selling our apartment with Sharene, our whole experience was fabulous! Sharene carried out the complete process wi...th utmost professionalism, taking every care and consideration for ourselves and our property. The photo shoot was a breeze due to Sharene being present and assisting the photographer to gain the best from our property. Resulting in a stunning presentation for all advertising mediums and attracting many interested open home attendees. At all times with the negotiations between the purchaser and ourselves, Sharene discussed and listened with complete professionalism, guiding us to reach a wonderful sales result. The complete process from signing the agreement to list, photo shoot, open homes, becoming unconditional, sold then moving (despite not having yet purchased) took 3-4 weeks! An incredibly swift time frame yet as we were committed sellers we relished the challenge and Sharene was right there with us every step of the way ensuring a smooth journey. We confidently refer Sharene to anyone who is wishing to sell a property without a moment's hesitation as we know they will be so well cared for, be it a leasehold property, apartment, unit, house or hotel which is to be sold!!! Thank you Sharene, you are a property sales Angel!" "Sharene Temple of New Zealand Sotheby's International Realty acted on our behalf as sole agent for the sale of ten apartments that we owned in the Viaduct Harbour of Auckland City. On Sharene's advice, we structured the marketing of ...those units over a 14 month period, which lead to the successful sale of all those apartments over that time. Her in depth knowledge of the property market proved invaluable, advice that I valued immensely and for which I am extremely grateful. I would have no hesitation in referring Sharene to others and would describe her to them as being honest, reliable, easy to understand and someone that does not place undue pressure on you, she listens to what you have to say about your circumstances, analyses that, then provides advice and recommendations to suit. We will continue to utilise Sharene's services when the need arises in the future." "...sincerest thanks on behalf of Andrew and myself for all your wonderful and expert help and input into the successful sale and purchase process of the Princes Gate Hotel in Rotorua. As you know, we at Carnmore Holding Ltd, were charged with th...e responsibility of conducting the negotiations and the due diligence requirements for the purchase of the property on behalf of our client, and having your absolute commitment to assisting us in whatever matter arose or presented itself made all the difference in the world. I know it can be said that you were only doing your job but as far as we are concerned you went the extra mile all the way through and we are delighted to have met you and to have had the pleasure of conducting business with you. I have no doubts at all that we will work together with you again when we are ready to look for our next hotel property." "I conducted a real estate purchase transaction where Sharene Temple from Sotheby's was the selling Realtor. Sharene's response to my initial enquiry was prompt, courteous, and informative. She then followed up my initial enquiry after a... few days to see if I was interested in pursuing the purchase. After that, we had several exchanges involving questions about the property. For each of my questions, Sharene replied very quickly and completely, and was always professional and courteous. She also offered useful information that I had not thought to ask about. When I decided to make an offer on the property, Sharene was very good in helping me understand the process required and facilitating that process. Although she was clearly representing the vendor well, at no time did I feel that she was trying to be "tricky" or overly "pushy", as many estate agents tend to be. As a buyer, this made me feel more disposed towards working with her to find a mutually agreeable price than I have felt with other agents. Post sale, Sharene continued to help me to facilitate the process of renting the property. To me, this illustrates her understanding of good customer service, and the importance of connections and contacts. To illustrate the difference, at the same time I was looking at a similar property through another agent. I had to resend my initial enquiry twice before getting a limited response. I then asked further questions and got only partially complete responses. After those exchanges I didn't look at that property further because it was too difficult, even though I would have happily purchased it. The property through Sharene came on the market about a month later. Most importantly, I was never contacted again by the other agent, and haven't been now, over three months later. That property has not sold yet. In my view, Sharene provided excellent communication and customer service to me as the buyer in our transaction. I believe that is critical to achieving an optimum sale result. Because of that I wouldn't hesitate to list a property to sell through her." We recently appointed Sharene Temple from Sothebys for the sale of our boutique Hotel located in Rotorua. Hotel sales by their very nature are complicated combining not only land and buildings, but an in...tricate business requiring specialised skills in this area. We chose Sharene as she has a solid background in hospitality and also is very much aware of the commercial nuances of maximising a sale of a successful Hotel Freehold Going Concern. Throughout the sales process Sharene went to great lengths to keep us updated, and always looking to actively seek new potential buyers. She has integrity, but also the ability to make both ourselves as well as prospective purchasers feel very much at ease and in safe hands. We are simply delighted to recommend Sharene Temple, so much so that not only is this our second transaction with Sharene, but we have already started to use her services to search for new real estate opportunities. The combination of the Sothebys brand and Sharene's background is an unbeatable combination!" "I would like to take this opportunity to thank Sharene Temple for her assistance, hardworking and friendly manner in helping me to sell my carpark. Sharene imprinted a very professional manner on me since the first day we met to discuss the sale... also she was very considerate when working around my schedule and I really appreciate your efforts. And I would happily recommend her in the future to friends, family or colleagues." "I wish to say that Sharene has done a wonderful job in helping me achieve an excellent result in the sale of my carpark. Sharene was extremely helpful during the process and has excellent people skills and very easy to communicate with plus awes...ome attitude. So professional and understanding, everything communicated clearly. With the sale exceeding my expectations and the results that I wanted, I would definitely recommend Sharene to anyone and everyone wanting to buy or sell their properties and or carparks." "My dealings with Sharene Temple involved the purchase of a car park in Quay West, from the first meeting until the final handing over of access keys. In all the conversations, email's, correspondence to solicitors etc, I found Sharene to be prof...essional, informative and a pleasure to deal with and have no hesitation in recommending her to any prospective purchaser or seller and look forward to dealing with her again if the occasion arises." "We have dealt with Sharene in recent months as purchasers of two apartments in the Auckland Viaduct area. We started off looking at one apartment and ended up buying two! Throughout this time we have found Sharene to be an absolute delight to de...al with both in a professional and a personal capacity. She understands the Auckland apartment market very well and was able to provide caring and helpful guidance. She has warmth and empathy and carefully listened to our needs. Sharene's service was well beyond our expectations and we totally recommend her to other purchasers or vendors." "Whilst living abroad I enlisted the help of Sharene to sell an investment property. Although I initially thought being so far away would make this difficult and unpleasant, Sharene's dedication, professionalism and superb communication ensured t...he process was seamless and stress-free from day one. I have never met Sharene but my impression is that she treats all parties with utmost respect, honesty and care. Moreover she knows her trade well and, at the end of the day, achieves fantastic results. The outcome of our auction was outstanding - and without doubt due to Sharene's handling of the twists and challenges that presented themselves throughout the campaign. I cannot recommend her highly enough!" "I am hugely impressed by Sharene's professionalism, attentiveness and kindness. She went out of her way to accommodate my requests and treated my oasis with the utmost respect." "Sharene is far and away the most professional and helpful real estate agent we have every encountered. She went the extra mile to make the whole process as easy as possible for both of us and the vendor. We would unreservedly recommend her to an...ybody seeking the services of a real estate professions." "I am living overseas and was looking for an investment property in Auckland. I came across Sharene Temple's credentials on a property listing via internet. I made a brief call to Sharene on my requirements and then travelled to Auckland to view ...suitable properties. My first impression of Sharene was her professionalism and her organization of our day viewing potential properties. A rare quality which I have not experienced with other agents was Sharene's ability to listen and understand the needs of her clients. After a successful weekend in Auckland I was able to identify a suitable property of which I am now a proud owner. 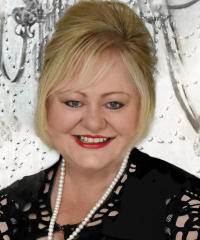 Sharene's professionalism and knowledge of the NZ property market is highly commendable and I would strongly recommend Sharene Temple in helping you find your dream property." "We have brought and sold many properties in New Zealand and Sharene's service to us was (and continues to be) so far beyond what we have ever received we are still astounded!" "Sharene is one of the most diligent, honest, efficient and helpful agents (if not people) I have ever dealt with and she was consistently helpful, positive and upfront. Sharene was superior to the other agents I had experienced in so many ways. ...Thank you Sharene, for all your efforts and your honest and genuine approach. The whole process was made so much more enjoyable and stress free."